← Arsenal v West Ham Preview: Ozil benched, Laca to Start, How Will Jack Feel? The brave thing about Emery is that he is prepared to put his stamp on the team, and not just tweak and build on what Wenger has left him behind. In my first year as post-Wenger Arsenal coach – yes now I am dreaming – I would have done the latter rather than the former. But I respect Emery for making the players play football the Unai-ted way, even though it is a strange and often painful thing to watch. Patience is what is needed, and I am more and more sitting back and allowing Emery the time and support to gradually get it right. The team want to do well for Emery. There is a hell of a lot to improve right now, but the most important thing is that the players give their all with pride for the shirt and don’t give up. Five goals in three games is not a bad return. We are creating chances: we had 15 shots v the Chavs (six on target) and nine against MC (three on target) and yesterday we had 17 shots of which a whopping 10 were on target. So 19 shots on target in three games led to five goals; we need to improve in this. What is remarkable, though, is that Auba and super-sub Laca are both still not on the scoresheet. That is £100m of strikeforce currently failing to find the net. The goals came from Mkhi, Nacho, OG, Welbz and Iwobi. I am pleased that others have stepped up to score the goals, and two away goals at the Chavs should normally be enough for at least a point, but we need to get Auba and Laca to start scoring again. It will come. Now regular BKers will know my view on the enthusiastic and very promising talent of Guendouzi. What a prospect! To combine him with Xhaka in the DM pivot is a recipe for midfield – and therefore defence – disaster, though. Xhaka does not deserve the undisciplined and inexperienced Guendouzi next to him. Guendouzi needs a classical DM next to him which Xhaka is not. Torreira would make both players much more effective, and, as I like our midfield to be controlling and calm, I prefer the combo of Xhaka and Torreira, especially with Emery’s preference to have both full backs to be as free as the wind for us. As soon as Guendouzi came off and Xhaka and Torreira were allowed to play together for the first time, things started to look a lot more balanced all over the pitch. We did not concede many chances anymore and scored two ourselves to win the game. I have no idea why Emery is not starting with Torreira and Xhaka (or if you must, Guendouzi), but I really hope he will start doing this from now on. Balance is king. I would play Guendouzi more regularly in the hole, in front of two of Torreira, Xhaka and Elneny. The ex-Gunners, Wilshere, Perez and Fabianski had mixed games yesterday: Fabianski was superb, Jack tried hard but had little impact and Perez missed a more than decent opportunity to equalize the game at the crucial moment. I hope they do well this season and help the Hammers to stay up at least. Bellerin is our best attacker. Two assists v WH and more good balls into the box, Hector is firing on all cylinders. He is our outlet in the team and in every game until now he has been very effective going forward. It does leave us defensively frail though, especially with Nacho also being allowed to go forward whenever he feels like it (and Guendouzi also bombing forward in a free-as-the-wind role). We need Bellerin’s attacking prowess but we also need better defensive cover, hence my second observation above. Mkhi was enjoying himself in the creative department and stood in well for Mesut. He has an average of 2.3 key passes per game this season, which is promising. Would he thrive more if it is either him or Ozil on the pitch in games? I reckon we need to find a way to get both to be effective and leading the team to victory time and again. Lacazette brings energy and so does Welbeck. With Auba still not in the groove, it is important that we have an attacking plan-B, and the Frenchman and Englishman do just that. Laca produced a lucky OG and Welbz finished in a controlled way to finish the game off in extra time, but it was there energy and hunger that made the real difference in attack. Cech saved us again and I reckon it are his reputation, frame and professionalism which are giving him the edge over Leno right now. He probably should have done better on the WH goal, but he also saved us on a number of occasions from conceding a second, whilst being protected poorly by our defence. Cech is STILL a winner. Sokratis made a couple of big tackles, it’ll be good to see him alongside Koscielny (fingers crossed) in a couple of months time, then we’ll see how good he is, or otherwise? Lacazette and Aubameyang have to start as a pair, it’s as plain as the nose on your mush. Fine observations, TA. Laca and Auba, as a pair, will happen at some point and in certain games, but we shall have to wait for the team’s collective play and confidence to improve before taking that risk (of imbalance). When both play, one midfielder role is sacrificed and for my money, Auba didn’t/doesn’t run that left side like Iwobi or Welbeck did/do it. It can work if we play a strict 4-4-2, though. Glad that Jack has not come to the Emirates to show us “what we missed out on”; Fabianski has been known to choose games against us to have a blinder; not this time. And, oh that miss by Perez…. bliss. We’ve been punished by ex-players enough. Time to get the rub of the green against ex players. True, Bellerin has been our most dangerous attacker (after Mkhi, though) but to what end if it leaves gaps behind, as he is prone to losing the ball when teammates are switched into front foot mode? Emery may not do so, but I think he should try Lichtsteiner in the right back role against one of the lesser sides and you will find he goes forward well and still manages to defend stoutly. Laca changed the game for us upfront while Welbeck came on to help at the right flank, with his energetic posturing and running, before Coolly scoring the 3rd. The team is still trying to gel and grow confidence (in the system Emery wants to play) as a collective. Let’s hope both expectations happen quickly enough. Kev, Arnataouvic took that shot, with very little backlift, where other strikers will need to steady themselves and give a keeper time to anticipate; plus there were two defenders in the way and I thought the ball took a slight nick off one of our defenders’ legs (I may be wrong) which made Cech’s dive slower than he’d want with the ball moving even further away from his outstretched hand. Some keepers would save it, some won’t. I would have placed Cech in the category that should save it but things happen in the moment. He’s earned the confidence of the manager, I guess, hence I expect him to keep his place. TA, good observations. Nothing like 3pts home. Except that am too much like Emery. Back to the videos working hard to improve the team. Bells would make a good winger (where he started) while Lichst takes over at right back. Defensively we are so open on our right with Bells. Just dawned on me that the fab 4 is a misnomer. They are vying for only two places #10 and #9. Maybe they should be called the Double Fab 2 which means Ozil or Mkhi and Auba or Laca. You touched on it and Eris too for balance in the team. And why not. We are a big team who should have a rich bench. City have Aguero or Jesus /KDB or Silva /Sterling or Sane / Bernado or Mahrez. Harsh word on our new flame Guen. Inexperience will do. He wanted to do too much. That is easier to curb than upping another who hides. In agreement on so much of it — I’ll only add a few ‘finities’ (is a word Kev!) to a well-rounded piece this fine Sunday morning. First, and aside from this match? We had gone into so many seasons running– with expectations. Making it a puzzle mentally to wrap one’s mind around; that this season, has a different purpose. Not to say that winning isn’t the goal every time Arsenal step on a pitch. It’s ‘game on’ once the whistle blows and ball is kicked. But in the moments after it ends– and the days or week(s) until next time they play– it’s not ‘the same as it ever was.’ It’s more about improvement of the team’s play as the season goes on. About Emery recasting the club with his persona. At present, the attack is being generated by Mkhi and Hector. Pretty much it, independent of who bags the goal. Eris and I both commented in-game that a physical and pacy winger like Antonio caused problems for Bellerin. Mkhi, for all his effort, was barely a nuisance tracking-back. Maybe that was Pellegrini’s thinking? That Antonio might slow our attack by the defending he required? We certainly fooled Manuel– by offering little of it. The seeming nature of Unai’s insistence in playing so high a line? That our CBs are going to find themselves in a footrace to Cech’s box everytime there’s a wayward pass or unforgiving deflection. Requiring a dedicated midfielder to cut-out or slow the counter. That cannot be Granit Xhaka– nor likely Matteo Guendouzi. The obvious choice– is Lucas Torreira. Emery, I feel, knows this too. But looking at this season in terms of completing a larger, complex puzzle? His longer-term plans may not match-up with us fan’s short-term wishes. I’m going to enjoy the matches– and comment on both good and bad during. Even if the results aren’t always the outcome I’d like. But I won’t be pressing the manager for answers, nor gnashing my teeth over his decisions. And not for some while to come. Eris, attacking full backs is the thing right now but I agree that defensively Hector is not improving. I wonder whether 3-5-2 would be better for us, or indeed play with two more defence minded midielders – two out of Xhaka, Torriera, AMN and Elneny – who can fill the gap left behind him. Also would like to see more of Lichtsteiner. JW, agreed on Mkhi doing better at tracking back. And good philosophical points re short term and long term focus. More like relief, though. Not much to say but to hope for improvements (I speak for myself here, of course). Sorry for the lateness TA. We should have played both Torreira and Guendouzi. It adds more balance and Douzi’s passing range is much better than Xhaka’s. Apparently our midfield were worse than against Chavs. Douzi apparently just went upfield and forgot that he needed to stay back. The high and intensive press is a modified version of WengerBall, but in this league it will backfire massively if the opponents are route one warriors. T, i thought Xhaka played well… I’ve already noted that he is valuable against teams like West Ham, but a liability we should avoid against top clubs. Love Welbeck as a sub. I hope to see a lot more from our strikers, and of course Ozil. There is still much more to come. I still love Rambo’s work rate, and his brilliant runs into the box. He is a difference maker, so we need to keep him. The discovery and emergence of Guendouzi allows Emery to not over use some of our midfielders. El Neny doesn’t have even half of Matteo’s influence on the game, despite his hard work. Torreiras passing is better than many people knew. Good spot, Jync. Xhaka scores high on most ratings and on Whoscored, he had his highest rating this season. It’s hard for those who just detest the sight of him to appreciate that the game versus West Ham was the game for his skill-set. Torreira did show a brilliant range of passing at the World Cup and a couple of times when he came on against City, even if one found the p,Ayer offside and the other was a bit too quick for the player to catch (not on same wavelength, and all that…) . He also took most set pieces for Uruguay, which means the coach trusts his precision on the ball. As soon as he settles, we will see much more from him, methinks. Just as the media are in a frenzy, trying to twist the import of a simple/coy reply Emery gave to a leading question, I thought the account in this article will provide further clarity to the Ozil sickness stories. Jnyc, Eris …… Am in complete agreement with both of you about Torreira’s excellent passing ability. He’s not an N’golo Kante. N’golo is taller, yes taller, and faster. Torreira is positionally more aware and a better passer of the ball. What they have very much in common is that initial 4meter bust of sleep (acceleration) which is critical for dispossessing opponents from their blind side. Our high defensive line would pose a problem for him because his final top speed is poor. To be honest I fear that we still lack sufficient robustness in our midfield. I wouldn’t have minded Torreira as a 6-8. Musti would make a very good 6. I’m one of those who, by the end of last season, had had my perspective changed on Granit’s capabilities. There are ‘types of teams’ where he is capable of performing at a high-level. Pleased when he does. This season? Unless Torreira is paired with him — he’s not the guy I want to see in front of Mustafi and Sokratis– retreating toward goal defending a counter-attack. Last season there were few or no alternatives based on injuries. Now, we have alternatives. I look at this year’s PL season as one of ‘retooling’. Done correctly, we could vie for top-4. But I’m not holding my breath. The possibility of Matteo Guendouzi’s upside exceeding Granit Xhaka’s ceiling is one aspect I am excited about. So, in this kind of year– I’d like to see Torreira on the team sheet almost every weekend– paired with one of Guendouzi (first) or Xhaka. This isn’t of ‘detesting’ Granit. But accelerating ‘what comes next’. If you believe as I do– that Matteo is ‘one for the future’? Then beckon that future to come as quickly as possible. It is a real shame Elneny has not had much, if any, playing time. Xhaka-Elneny works better than Xhaka-Guendouzi all day long, but our Egyptian king seems to be downgraded at the moment. Jw1, When I referred to those who detest Xhaka, I had the generality of the blogosphere/media narrative in mind, even as you find most tweeter fans start reacting early in games, with all the negative tweets being compiled by one of the Dailies as reflecting “Arsenal fans’” view of the player. We are a lot more reasoned on here. For one, I agree we may reconsider playing Xhaka against high pressing teams who won’t give him time he desires on the ball. The surprise is that he played all 38 games under Wenger, last season. If Emery plays him in even 30 of our league games this season, some would just need to hold up hands to say maybe, the Coaches know/see something we mostly don’t. PE is the go to man for player game stats from Whoscored. It will be interesting to see how Xhaka did, versus say, Guendouzi. I read someplace he had 13 passes into the opponent’s area (forward/key passes) and something even more ridiculous in pass completion. Mancs v Spuddies home win, away win, draw…. whatever it is it is a win for us!! We saw Xhaka play for Switzerland and deal really well with high pressing teams. He finds space and then he holds on to the ball and passes it intelligently as soon as he can. The difference is the Swiss play with a good DM next to Xhaka, which is a prerequisite to get the best out of Xhaka. XTC! TA, I’ll agree that Xhaka needs Torreira. Deserves a defender of this type. I’m less-certain that Torreira ‘requires’ Xhaka. I think he could pair with Elneny and flourish as a tandem. Even interchangeable at times. Guendouzi and AMN offer other skillsets from Xhaka’s, that might be better-suited situationally per the opponent. Given that UE has a stated affinity for 5-4 scorelines? Where both of the last two versus Chelsea and West Ham could have reached those numbers– with a decent level of clinical finishing? Perhaps then you’re dead-on– and Emery will start Granit against all comers. Or perhaps Xhaka’s subbing-off at 70″ versus City was a more accurate reading of intent. Suppose we’ll know when we play Pool on November 3rd. Or sooner. I frequently check Whoscored for my own confirmations pro and con. Recall you’re expressing PE’s virtues to the heretic who feels that everything can be measured– if analyzed thoroughly enough. Hehehehe! You just sounded, right there, like a chap I know who won’t subscribe to the “just look at Ozil’s stats” defence of Ozil, whenever he has had another game he has not bossed. He also says he will believe his eyes more than any stat compilation. However, we live in a world where the science of things are based on recordings and other statistical data. It’s not the be all, end all, by any means, but it helps. I place Ozil in another category altogether. My well of support for Mesut Ozil runs deep. I comprehend his awareness of spatiality on-pitch. I played a sport (the game 17HT and I played) on a similar sized field, with similar style of movement– of the object (football and disc) and the players. There’s no doubt in my mind– that those who can’t fathom what Ozil sees– never will. I’ve experienced that same lack of understanding in my game. Those who can’t do it– refuse to believe the abilities of those who can. OTOH? Whoscored– was not (IMO) a good indicator of what I saw vs West Ham. Mustafi at 7.3 with Sokratis at 6.5! When I hold Mustafi culpable for the brain-fart to loose Arnautovic for his shot/goal. While crediting Sokratis for saving the 3pts by doing his job when required utmost, late-match– by bodying up Yarmalenklo on Perez’s pass cross-goal– otherwise an easy tap-in to level 2-2. That’s a perfect example of the superficiality of the Whoscored’s application of game data. Particularly as those numbers are posted right as the match ends– with no video analysis whatsoever. There’s a gap between cold statistics and analysis through applied data modeling and algorythmic comparison. I’ve been watching an organization go from worst-to-first over a period of years. To me, it’s clear. There’s just no real depth to football data as doled out to we fans. Want to hear what a risk-management firm thinks about the depth of data and application I’m describing? It’s probably more interesting to a US sports fan. But it might offer perspective. Eris ….. are you sure am the go to man for stats from WhoScored? Well the stats, based on certain definitions, are objective facts. Oftentimes am surprised by them but I still respect them. Mark that their stats are different from their ratings which I can disagree with. I find Squawka Players Performance Rating more agreeable. But any rating whatsoever cannever tell the whole story and therefore cannot tell the truth (dead accurate) but so also our individual very subjective conclusions. We live in an era where it’s indisputable that machines operate with greater precision than us so creating some space for them in our decisions looks right to me. But then, I don’t want to be taken over completely by the machines. Living would lose its taste. My eyes say to me, start Laca ahead of Auba. 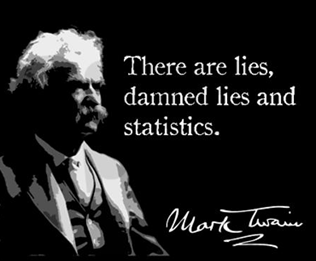 jw ….. the stats that Twains’s wisdom refereed to were the erroneous very subjective compilations of human observations. Laca ahead of Auba! PE & jw1, I can see TA developing the early framework for an Inter-lull topic for discussion (as FIFA international break looms). I have not been so enamoured by the stats but what it does for me is force me to look at other actions of the most scrutinized players and it has helped me defend them, where they need defending. I watched our last game with two friends who just can’t stand the inclusion of Xhaka and Ozil in our squad. Whenever I applauded Xhaka’s fair few defensive actions, they protested with “that’s not Xhaka, Bro”, until replays or PVR proved me right. Of course, they didn’t like the humble pie after all that. After the game, the stats for Xhaka vindicated me and they have since conceded he probably merely had “one good day”; I held back from reminding them they will find it difficult appreciating him if they can’t first recognize him on the screen. Against City, when Aguero pounced on the loose ball from Guendouzi’s failure to clear or control that bounce in our half, in a counter attacking move by City, Ozil was the only other player to chase back and block the channel to another city player to Aguero’s left, forcing him to shoot favourably for Cech to save/parry. Fans who prefer to say Ozil is lazy will not recognize his effort there, but it was an important defensive action to prevent a tap in. The stats will list this from his heat map under defensive action, somehow. The stats don’t tell all, but our eyes can also fail us while the import of bias cannot be overstated in how fans view effectiveness of some players. When manager after manager keeps picking a certain player, it is wise to take another look at what that player brings. PE will remember a certain Garba Lawal (Nigerian ex-International); fans couldn’t get it but he was the first name on the manager’s team sheet. The debate will rage on. I fully agree with your assessment of G-X connection as well as your call for XTC. At this time, we can’t afford to play G-Dog as he is still learning how to play in top tier. Torreira and Xhaka should give us maximum from the midfield in terms of passing and protecting back four. I’m no fan of Xhaka but I’m ready to give him a chance to forge a partnership with LT11. As for Bellerin-Mkhitaryan, we play with two RWs and that has been our strongest attacking connection under UE. Goals we scored and chances we missed in all three games – almost all of them came thanks to H & H connection on the right. That’s also where we leak the most defensively. PEA and Laca should start scoring. Too many offside calls went against Auba which might imply he is still getting into the system. I believe we can win the next 7 games. Eris …… that’s a great exercise on your part, the ability to sometimes consciously doubt yourself. It gives space that allows one to look again with fresh eyes, not with eyes clouded up with prejudice (for or against). In the final analysis everything is self entertainment as we do not influence the team directly. Eris, yes Lawal. Possibly the least talented of the group but does the managers’ wishes and never his own. Players are close to incorrigible. Many of them oppose the instructions of the coaches willfully. From the outside we would never be able to understand the basis of the coaches’ preferences of players. A good coach is the one who is able to get the team to buy into his/her project. We live in an age where truth is in the eye of the beholder–in other words, opinion IS the new truth, BUT, among polite and respectful folks, it (maybe? still?…) can be discussed and even influenced. On a GOOD football blog, for example, my initial impressions of a game (or a player, or a manager or a club…) can (maybe? perhaps?…) change as I discuss it with my people. Over the past months, I’ve been reading (most) everything here (and learning from and being influenced by some of it…) and the temptation to weigh in has been strong (at times). I haven’t, however, until now, as my impressions of what’s happening in the post-Wenger era haven’t been very positive. Why bring people down (question mark) is the usual reason I hold my peace. Now that we’ve won a match (not just a pre-season game exhibition) I think it could be time. From this one–or the recent comments, at least… JW, Eris, PE and everybody else. Tell me more about this stat stuff. I still tend to trust my eyes. Given the very low number of “incidents” per match, I’m always doubtful about reading too much into ANYTHING. Which stats seem more real than others? For example, if my eyes pass over things like 0.7 interceptions per 90 minutes they (my eyes) tend to roll. For me, there’s no substitute for actually watching a match (not just the highlights or replays with talking points). Additionally, I always have to wonder about how stats are actually gathered. To me it seems quite subjective when I try to decide whose touch made the turnover (for example). Do they blame the guy with the last touch (often not to blame, IMO) or is it more subjective? Trust. Since we’re tossing it around as a measure in several forms on this thread? As one of our own frequently expresses: Go on then. 17ht, who dares to say someone doesn’t miss you? Of course we miss your comments and posts here. Alternatively I guessed that you’d gone off, up into the mountains to find yourself. Anyway, good to see you back mate, match days aren’t really the same without your comments. What’s with the media? They can publish the news about Yaya Toure going to Arsenal. I mean, do we even need him anyway? 84, could be agent inspired? On Yaya Toure, the Agent merely stated that he’d completed medicals in London, without stating for what club. The Mirror reports he is going back to Olympiakos, from where he moved to Barcelona. That looks more plausible as he is unlikely to be able to match the intensity of the EPL these days, for 90 minutes. If on the other hand, he comes to Arsenal, I can only assume it will be as a leader and for substitute appearances in the league and Europe. Just watched some extended highlights of last weekends game vs West Ham and we certainly made a lot more chances than the BBC showed on MotD. Just goes to show how highlights can be edited to totally change the look of a game and fit into the narrative that any organisation, be it the BBC or BT etc, want to peddle. Apparently some 5 years ago the guys at the BBC who were in charge of editing the games were a couple of rampant Man Utd fans who hated Arsenal, not sure if that’s still the case, but as the BBC are now based in Salford it wouldn’t surprise me. So go figure? Anyway it’s taken until the 70th minute of our third game to actually take the lead, luckily as it was, you sometimes need a stroke of luck and as football is as much in the head as on the pitch we needed that rub of the green to give us a psychological boost. Now the pressure will be off somewhat, at least a lot less for now and the players will hopefully be more relaxed when they visit the Principality this weekend and whilst beating Man City, Chelsea and such like might be a bit beyond us, we need to take teams like Cardiff to the cleaners, short steps, build some strength between the ears of our players, get on a roll, whilst Emery gradually works out his strongest starting XI. Interesting to see young defender Julio Pleguezuelo was one of the four youngsters training with the seniors this week, for the first time in his case, so maybe Emery has seen something in the young Spaniard and maybe he’ll get some 1st team exposure with the League & UEFA Cups on the horizon? I haven’t been to Wales since Arsenal beat Man Utd in the 2005 FACup final, but that’s where I’ll be seeing my first Arsenal game of this season this weekend, outside of England. Kev, you have to have a passport to travel to Wales? I always thought within the UK you do not need one. I agree with you regarding highlights. I find it very difficult to watch extended highlights of matches when I already know the score. My first impression though is that Rambo had a much better game than he was given credit for and nearly scored on a number of occasions. It will be really interesting to see what team he puts out at the weekend. I guess he must be close to picking his A team by now. I wonder if he will pick teams according to the opposition? Which in itself will be a refreshing change. Enjoy the game, looking forward to your on the spot report. Great post T A ( as always). I agree with most of your comments. I still believe Cech needs to be changed. Yes, he has made some good saves, but he still looks a little ponderous to me. I suspect we may have to wait for the cup competitions to see Leno. Xhaka in my opinion anyway, will perform well against teams who don’t put him under too much pressure. With respect to your American viewers, I liken him to a quarterback. All the time he can be protected he will be in a position to make sweet passes. Against City and Chelsea he was always in danger of getting sacked and performed accordingly. In the 2nd half against West Ham when he got extra protection he looked a lot better. I honestly can’t remember Arsenal have a quarterback style player like this before, Gilberto Silva maybe? No doubt someone will correct me. Liechsteiner against Cardiff. Hope Rambo gets a game against Cardiff. 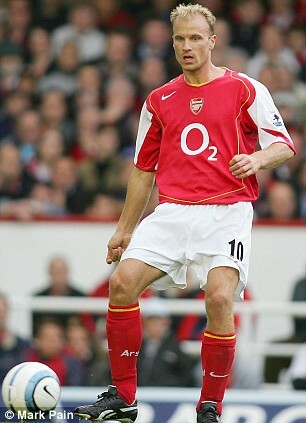 I seem to remember him always playing well against his former club. Although getting a position in Midfield is pretty difficult, maybe room for Bellerin can be made further forward. Welcome back to the Elneny fan club. We always knew you were there. One other thing I wanted to mention, was the kick off against West Ham. It may well have been Xhaka who launched a missile down the right wing aimed for Bellerin. It didn’t work, but what a refreshing change from passing it around at the back for two minutes, as we did last season and then losing it. I always enjoyed my trips to Cardiff Retsub, it’s a cool City, especially the city centre and the locals were always friendly, but that was cup final day I’ve not been there before for a game vs City. Sorry to pop in then drop out for a couple of days… I tried to get back into that post I was working on re: Ozil and Ramsey–can the team/club afford to play/pay both of them?…but it ended up just long-winded and overly simplistic. It’s a good question I think, esp. in light of TA leaving the one (Rambo) out of his observations, while putting Ozil (and maybe asking a similar question relative to Mkhi…) in the title of this thread. In the end, the posts really are just written for our own pleasure AND to start a discussion, i.e., see what folks are thinking.